There are 2,100 children who need transplant surgeries right now in the United States, according to DonateLifeAmerica.org. Many of those families are not only dealing with tough decisions, but also financial concerns making things even more stressful. So how do they pay for it all? Some families look to crowd funding like GoFundMe.com, but many others rely on COTA.org. COTA, Children’s Organ Transplant Association, is a website families can use to raise money. That money then goes into a trust for their child. Nine-year-old Jack Saville’s family is a COTA family. "Every dollar that's donated to a COTA family is guaranteed to be spent on transplant-related expenses,” said Mary Saville, Jack’s mom. COTA was created by an Indiana family who lost one of their own family members because they were unable to pay the $100,000 up-front for the transplant surgery. They vowed that would never happen to another family. 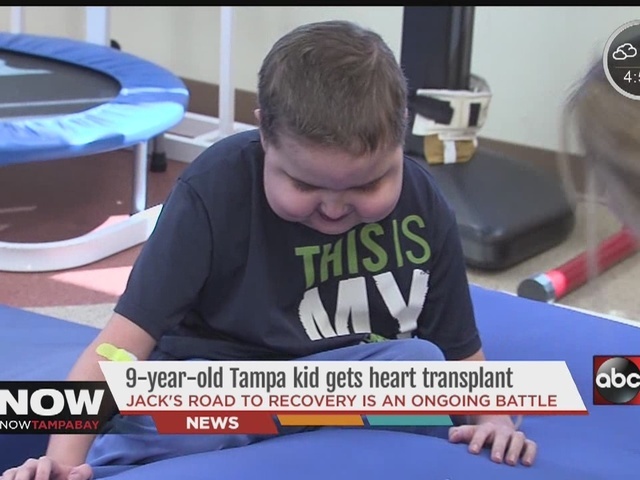 Jack’s elementary school friends have raised $25,000 to this point for his COTA fund with many other donations to help his family with the medical bills. Jack’s mom says she can only hope other people will donate to families across the country who need help. Follow Jack’s story on Facebook.